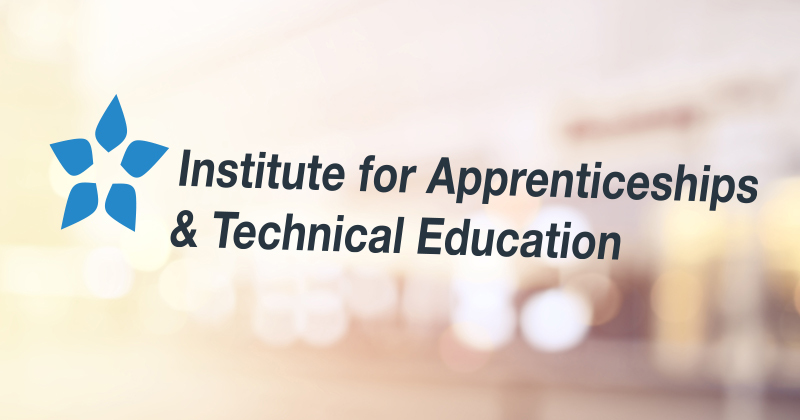 The Institute for Apprenticeships and Technical Education is updating its ‘affordability measures’ when making funding band recommendations. Minutes published this week for their approval and funding committee, dated 21 March, say the Digital and Data Science Team “gave an update about work to improve the affordability measures, which will be further developed over the next few months”. When asked about the plans, a spokesperson for the IfATE told FE Week: “The budget for the apprenticeship programme is finite” and affordability was being considered alongside “evidence submitted by Trailblazer groups, guidance from sector experts on our Route Panels, and evidence we have gathered ourselves about comparative training costs”. The spokesperson would not be drawn on what the specific measures are or would be, beyond saying they were “analysis of the cost of the apprenticeship programme” and that “the measures are being updated to reflect the fact that there is now a larger amount of information related to the cost of apprenticeship standards, and the shape of the programme”. It was IfATE that first warned of an apprenticeship levy budget over-spend in a presentation to employers at the end of last year. This was then followed by a National Audit Office report into the programme that found the actual average amount of funding was double the DfE forecast. And in recent weeks the DfE permanent secretary told the Public Accounts Committee that without additional treasury funding as part of the forthcoming spending review then “tough choices” would need to be made. IfATE rates reviews have proved controversial so far, with many employer groups opposing reductions that would render the apprenticeships “financially non-viable”. In the first review launched last May, included 31 of the most popular standards, many of which say a rate reduction. For example, the level 2 hair professional was cut 22 per cent from £9,000 to £7,000 and the controversial chartered manager degree was cut 19 per cent from £27,000 to £22,000. The IfATE revealed last December the 30 apprenticeship standards included in its second funding band review, expected to be completed by this summer. Rate reviews got underway after the institute moved to having 30 funding bands – the maximum rate paid for from the levy – to choose from, up from the previous 15. According to the IfA’s 2018/19 business plan, the funding band reviews ensure “they support high quality delivery, and maximise value for money for employers and the taxpayer”.